Phenobarbital addiction is less common than other types of drug addiction, but it is very serious. Overdosing on this barbiturate, which is a sedative, is easy to do because of the small difference between a recommended dose and too much. Withdrawal is also potentially deadly with phenobarbital addiction, and detoxification should never be done without medical supervision. With medical treatment for detox or overdose, followed by ongoing therapy, it is very possible to overcome this addiction. Phenobarbital is a type of drug called a barbiturate. Barbiturates depress the central nervous system, causing calm, relaxation, and sleepiness. Phenobarbital is used to treat epilepsy, anxiety, and sometimes to treat withdrawal from other barbiturates. Addiction to phenobarbital can occur when a person misuses this prescription drug and takes it regularly in order to achieve a high or a feeling of relaxation. Phenobarbital drug addiction is characterized by an inability to control use of the drug, using more than was intended, a tolerance over time and needing more of the drug to get the same effect, and withdrawal when not using the drug. This addiction can be treated, but it requires a commitment to ongoing and long-term care, and relapse is always a possibility. Phenobarbital is a habit-forming drug. The risk of addiction when abusing phenobarbital is lower than with some other drugs, but it is a habit-forming substance. Any abuse of this drug could lead to addiction, side effects, long-term health consequences, overdose, and the need for treatment. Phenobarbital is a Schedule IV controlled substance as listed by the Drug Enforcement Administration. Schedule IV substances are considered to have some potential for abuse and dependence. Some of the street names for phenobarbital include goof balls and purple hearts. All barbiturates are referred to as downers, because they depress the central nervous system and are often abused as a way to come down from a stimulant. Phenobarbital addiction is much less common than it once was, because benzodiazepines have largely replaced barbiturates for treating anxiety, a common mental illness. In the 1950s and ‘60s, barbiturates were popular for anxiety control and as sleep aids, but in the 1970s experts became aware of the high rates of overdose deaths caused by these drugs and prescriptions for them decreased. Phenobarbital and other barbiturates are the least abused types of sedatives. Only 0.2 percent of adults abused barbiturates in 2015. Barbiturate use by 12th graders has declined in recent years and in 2016 was at a low point of three percent. Women are more likely than men to report or seek treatment for abuse of barbiturates like phenobarbital. Phenobarbital addiction symptoms include abuse of the drug, using more than is prescribed, or using it when it hasn’t been prescribed. Addiction is also characterized by an inability to limit how much or how often the drug is consumed and a tolerance to the drug that builds over time. When someone addicted to phenobarbital tries to stop using it, there will be withdrawal symptoms. These are all important signs of addiction. It is easy to overdose on barbiturates like phenobarbital, because there is only a small difference in amount between a normal dose and a dose that will cause an overdose that has the potential to be fatal. 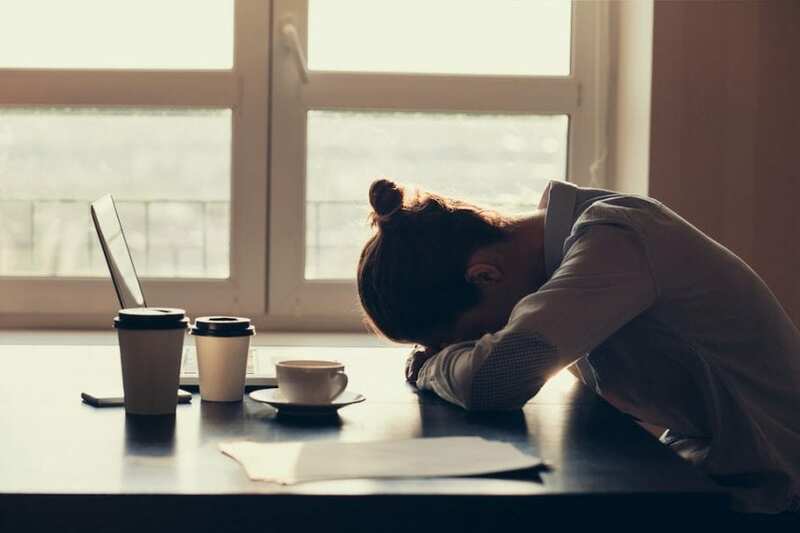 Overdosing on phenobarbital is even more likely when it is combined with other substances that are depressants, like alcohol, heroin, or opioids. The combined effects increase the risk that a person will suffer an overdose. Signs of an overdose on phenobarbital include many of the symptoms of abuse, like poor coordination and shallow breathing. When a person abusing this substance becomes unresponsive, they need emergency medical attention. Treatment may include the administration of activated charcoal to bind to the drug in the stomach. Treatment may also require breathing support, as an overdose can cause someone to stop breathing. Diagnosing phenobarbital abuse can be done by asking a patient what he or she took, but a urine test can confirm that the substance caused symptoms or an overdose. To diagnose an addiction is a little more complicated. A mental health professional or addiction specialist can evaluate someone and ask questions that will help determine if that person is struggling with addiction and needs treatment. The cause of phenobarbital addiction is abuse of the drug. Anyone who abuses phenobarbital is at risk of becoming dependent on it. Drugs that alter the brain, like phenobarbital, can make long-term changes to the structure of the brain that lead to addiction. These changes make a person more tolerant of the drug, induces cravings, and cause withdrawal when stopping use of the drug. Withdrawal from phenobarbital and other barbiturates can be particularly dangerous, and it can even be fatal. Symptoms of withdrawal may include insomnia, tremors, agitation, and anxiety. For someone who has been taking large doses of this drug for a long period of time, withdrawal can be severe and cause life-threatening symptoms. These may include high body temperature, hallucinations, seizures, and suicidal behaviors. Overcoming a drug addiction requires that a patient detox, or stop using the drug and allow it to work its way out of the body. This is never an easy process, but with phenobarbital and other barbiturates it can be deadly. No one should ever attempt to detox from a barbiturate without medical supervision because of the risk of death. Going cold turkey is not recommended, and a slower weaning from the drug may be necessary but should always be guided by medical caregivers. It is not uncommon for mental illnesses or other types of addiction to co-occur with phenobarbital abuse or addiction. Mental illnesses can trigger drug abuse as a way to cope or self-medicate, and this can lead to addiction. Abuse of drugs like phenobarbital may also trigger symptoms of or worsen mental illnesses. Mental illnesses and addictive disorders have many risk factors in common—another reason they often co-occur. Any type of mental illness may co-occur with phenobarbital addiction, but the most common are major depression and anxiety disorders. It is important that anyone struggling with any type of addiction also be screened for mental illness. Unless all co-occurring disorders are treated, recovery is not possible and relapse is more likely. The most important first step in treating phenobarbital addiction is guided detox. In some cases the first treatment step is emergency medical care for an overdose as well as detox. This is because it is so easy to overdose on barbiturates. Once a person is stabilized after an overdose or after the detox process, long-term treatment focused on recovery and relapse prevention can begin. Treatment usually involves behavioral therapies that help patients learn how to discover the reasons they abused drugs initially, how to address those issues in a healthful way, and how to make positive life changes that will minimize the urge to relapse in the future. Treatment may include individual therapy, group therapy and support, family therapy, and alternative therapies. Reducing the risk of a relapse is a major goal of phenobarbital addiction treatment. A commitment to ongoing treatment, regular support meetings, relying on friends and family, avoiding triggers and high-risk situations, and engaging in good self-care can all help a person minimize future relapses. If someone addicted to phenobarbital gets medical attention to detox, followed by comprehensive addiction treatment at a residential treatment facility, the prognosis is positive. Most people who overdose but get immediate medical help are able to survive the nearly lethal dose. Ongoing treatment after detoxing is necessary to prevent relapses. How successful that treatment will be depends on factors like how long the person was abusing phenobarbital, other drugs abused, and overall health.